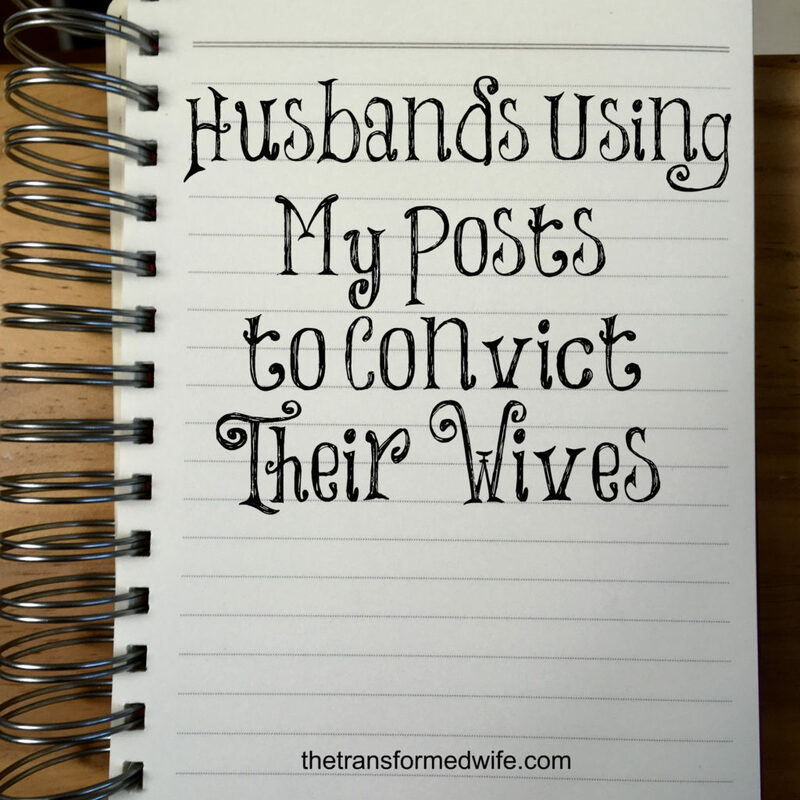 Are husbands “allowed” to use my posts to try and convict their wives about something I have written? Of course they are since they are head over their wives and the leaders of their homes. What if they are using them to manipulate their wives? 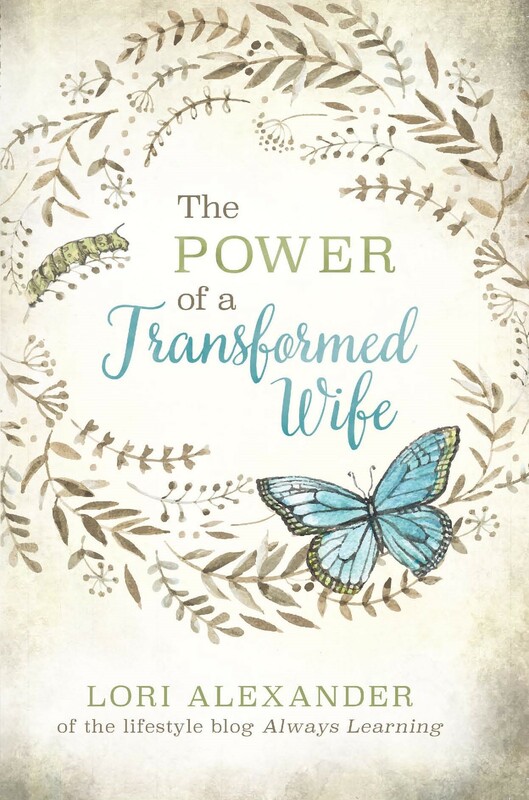 I am not sure a wife could know her husband’s intentions but he has every right to show her whether it be to exhort, rebuke, or encourage her (Titus 2:15). The one thing I want to make clear, however, is that I am teaching what God has commanded older women teach younger women in His Word. I try to be true to the Word in everything I write. There are many such situations in today’s culture. I could have written this post 100 years ago and it wouldn’t have caused a stir at all most likely. If this woman has decided to work because she wanted to get out of the home and away from the children, I would encourage her to go home, be a keeper at home, and raise her children since they need and want her. Many believe that being a school teacher is a perfect job for a mother. It’s not, as you can see from this woman’s comment to me. Some women whose mothers were teachers told me that they felt robbed because of it. They said their mothers gave all they had to the children they taught and had nothing left for them when their mothers finally came home. Another one said that her mother was so busy that she was never able to teach her the fine arts of keeping a home. If you are in this situation and your husband has shown you my post, then tell him that you will probably give your notice to come home and take care of the home without asking for his help. If you are working full time because your husband is not working much and wants you to continue working, ask the Lord to convict him about this since he is the one the Lord has called to be the protector and provider. Show him you can live very simply on his income so that you can be home and take care of all of the home duties that alone are a full time job for those mothers with children. Look at God’s prescription for you in 1 Peter 3:1-6. Even though your husband is the one who is supposed to be working hard to provide, you need to still live in subjection to him with godly behavior. If you are in this situation and he shows you my post, tell him that you are trying as hard as you can to juggle all of your duties the best that you can but it’s impossible without some help. If he refuses, see if he will get you some help. If he refuses this, then give it to the Lord in prayer and do the best you can. If she is working because her husband is working very hard at any job he can and even multiple jobs but still can’t seem to make ends meet, then she needs to pray consistently that her husband will find a good job that can support the family so she can come home. Our heavenly Father owns everything. What He has commanded He supplies. Any wife in this situation should read Laine’s Letters 50 Ways We Paid Off Our House with One Income. Her husband never made over $30,000 a year but with a lot of prayer and simple living she was always able to stay home with her children because this is where she knew the Lord wanted her to be. In saying all of this, I have no problem with wives asking their husbands for help when they need it. None. I have to ask Ken for help whenever something is too heavy for me or needs to be fixed which is often because of my bad neck. The viral post was for those women who nag and complain to their husbands because they have asked them to help but they don’t. Some have even destroyed their marriages over it. The problem today is that the roles have become so blurred that it has caused chaos in the homes and culture. Women were created to be their husbands help meet and to be the keepers at home. Men were created to be the protectors and providers. Everything works better when each knows their role and does it, contrary to what feminists have fought so hard for. Woman are home-oriented. God has made them this way. This is why the home fixing up shows are so popular. Women love their homes and want them to be beautiful. They are also the nurturers. God made them this way too. They are the ones who bear and nurse children. When their children are sick and they have to work, all they want to do is be home with their children. If your husband doesn’t want to help you with housework, since many men have no desire to do housework, do it joyfully as unto the Lord and remember that the JOY of the LORD is your strength. I grew up in a Christian household and when I was very young, my father stayed at home while attending school for a masters degree in teaching. My mother worked as a corporate accountant to help make his dreams possible and work towards making a better life for our family. My dad always told me that marriages are about playing into the individual’s strengths. He wasn’t the best at finances, so he deferred to my mother. She, in turn, deferred to him when it came to yard work and fixing up the house. While I acknowledge you may not think of this as a Biblical marriage, I think my mom embodies the Proverbs 31 woman who would do anything for her family. I don’t go around telling people to their face that they are not living out God’s commands for the roles of husbands and wives. I teach women what I am supposed to teach them if they want to learn from me. Women are to be the keepers at home and men are to be the protectors and providers. I am not responsible for how your family lived their lives. It is between your mother and father. They are the ones that get to decide, not me. I just teach women to be “keepers at home” as the Lord has told older women to do. Thank you, Lori! Prayers continue for all women who are striving to follow and serve our Lord in submission to our husbands, and to our God! Amen. We are to pray for those in the faith to be strong and obey the Lord in what He has asked us to do, especially those going through difficult times. Exactly. We should be teachable and open to correction from the Scriptures no matter who it is (as long as it is Scriptural), how much more from husbands who are given charge to “wash” us with the Word? Of course, it will hurt the flesh (our pride), but that is what the cross is- pain to the carnal mind, but life to the spirit. Thank you for not compromising in your answer. Thank you for speaking truth yet again. What a great comment! Yes, husbands have every right to speak truth to their wives. This is just a thought – I think we can all learn from anyone who is speaking God’s truths into our lives however that said I think we need to make sure that it is the Holy Spirit that does the convicting of Righteousness and not man, as if man is doing it, it may build resentment not doing any good for anyone. Also I do believe that the husband doing this, for his own sake, must make sure he is right with God himself as not to give the devil a foot hold in his life or the life of his family. There is a big difference between wanting to teach someone and wanting to guilt someone, trying to make someone feel guilty is wrong and never of God but trying to impart God’s truths to someone is of God and always right. I feel so safe living my life in submission to my God given head and love of my heart, God’s ways are always right and lived out are always a blessing. I agree with you, Jilly, but a wife should receive correction from her husband with a gentle and humble spirit regardless of how he presents it. We are only responsible for our behavior and our respect and submission to our husbands, not how they say things. Blessings! I totally agree with you Lori, what I don’t understand is when some women will receive correction from anyone else but their husband; the very man God has given to them to lead and guide them and their children. ?I find such joy in trusting God and my Beloved. ?This is not a role given by man but a role blessed and given by God Himself, I am so grateful to God that this role falls to Antony and not me. I pray your day is going well with you – love to you and yours. ?? ?